Founded in 1983, Murray & Dickson Construction boasts over 30 years’ experience in the construction industry. Over that period the company has either acquired or developed the expertise and infrastructure that enable it to operate successfully in the General Building, Civil Engineering, Pipeline, Oil & Gas, and Roads & Earthworks construction sectors. 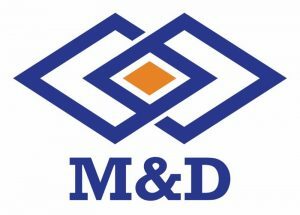 M&D Construction operates throughout South Africa and the neighboring countries. The company’s head office is in Johannesburg, with regional offices in Cape Town, Durban, Kimberley, Polokwane, East London, Rustenburg, Nelspruit and an international office in Mauritius.